Customer perspective: Theft Prevention clients do not just buy a security product – they invest in a relationship with expert security consultants, in a stable and credible specialist organisation. Theft Prevention experts are here to assist you in the long term! Supplier perspective: Theft Prevention suppliers do not just supply products, they invest in a relationship with our committed team to consistently educate and improve our staff and range of state-of-the-art products. This ensures that our company is at the technological forefront, leading the way in the security industry. Our ‘on or before’ time payment policy ensures our suppliers are as committed to our clients in the long term as we are. These are some of the reasons we are able to offer 4 year warranties to our customers, while our opposition only offer 1 or 2 year warranties. Synergy perspective: Theft Prevention’s group of sister companies do not just buy into a sibling relationship – they invest in a relationship with a committed leader. Our Mission, Vision and Values have been developed and aligned to produce a professionally managed organisation, committed to provide the highest level of customer service available. Theft Prevention is committed to an ongoing research, development and analysis program that informs us about the latest criminal trends, the latest methods used to combat crime and the latest testing methods to ensure our service and products are the best. Our customers are able to have confidence that our advice is accurate and our systems are designed to the highest levels. This results in systems that reduce our client’s losses in the most cost effective manner. 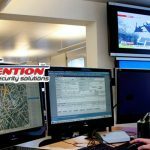 Our reports cover a wide range of security related issues and our strategic Security plans take a long term planning view that ensures the most cost effective methods are employed to secure your premise, staff, valuables and other assets. Many security companies claim to “Customise a Security Solution”. We would ask – how can you customise a solution for a business without firstly understanding all the issues? Theft Prevention leaves no stone unturned in discovering all the issues, with its 200 question Security Audit. On completion of our Audit we will fully understand your businesses issues. We can then recommend exactly what the business needs. Theft Prevention will advise the most appropriate maintenance schedule for your system. As every environment and customer is different, this means the maintenance requirements of each system are also different. Just as we have custom designed your system, so will we custom design your maintenance schedule. With our 4 year warranty on products and labour, you can be confident that we will only use the highest quality equipment, including brands such as Sony, Samsung, Honeywell, Ikegami, Concept, Crow, DAS and Tecom. Our Research & Development Team are constantly upgrading our catalogue. Please talk to one of our helpful team members to discuss the solution that is right for your business or home.